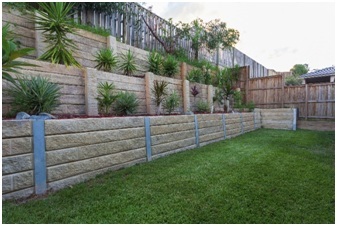 Retaining Walls - What Are They and Why are They Important? Retaining Walls – What Are They and Why are They Important? There are a lot of different aspects to landscaping, but after your sod installation is complete here in Orlando, you need to move on to the more important part, which is hardscaping. You have a great base but how do you move forward and turn it into a lawn that people will love? A retaining wall is an excellent place to begin, especially if you want to protect your newly installed sod. The end goal of a beautiful lawn all starts with the structural support that a retaining wall provides. Retaining walls are perfect for creating barriers in front of hills as they are designed to keep the soil from sliding forward. The idea of a landslide in your front yard might sound a little silly, but when it happens, the thousands of dollars in damage is no laughing matter. Florida sees a lot of rain, and wet soil is simply a matter of course. Ultimately, landscapers use retaining walls against hills, in front of houses, and around flower beds, all depending on the lay of the land. Any landscape that involves soil will eventually see erosion from either wind or water which is why so many homeowners and commercial property owners opt to include retaining walls in their landscaping plans. An exception to the rule is if your yard features a lot of trees or shrubs as their roots will be able to hold the soil back. A good retaining wall holds the soil in place while also reducing surface runoff by inhibiting the speed at which water travels over the land. Retaining walls are pretty to look at, but they can work much harder than you think when designed correctly. An experienced landscaper can work drainage pipes and channels into the structure which greatly increase water control and direction, making it easy to ensure that the water goes exactly where you want it. Space is a precious commodity in any yard, commercial or residential and while hills might look great, the problem is that they’re not very functional. Think about it: what can you do with a hill beside roll down it? Using retaining walls, you can build terraces where you can plant flowers or bushes and add more visible features. You can accommodate hanging lights, mounted lights, and nearly any other hardscaping feature you can imagine with a good retaining wall,and as a professional landscaping company, we can help you come up with and implement ideas for a retaining wall in your yard. The way your retaining wall materials contrasts with the surrounding landscape is vital. A stone wall against a natural landscape can be beautiful and work wonders for your yard whether you are working on your home or a commercial environment. Part of making your retaining wall look good involves choosing the right material and you need to be consistent across the board. If you are hoping to save money, it might be prudent to select concrete blocks as they will only cost about 95 cents per piece. Other options include bricks and stone veneer, both of which cost a bit more but also look much better. 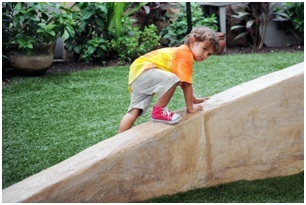 A common retaining wall solution seen at amusement parks and outside of commercial buildings is poured concrete which works well but is prone to cracking over time. While all retaining walls need maintenance from time to time, brick and cinder block type models have the advantage. Apart from having sod delivered to your home in Orlando, retaining walls might just be one of the most important additions you make to your lawn. They add more functional space, look great, and will stand for many years to come. Call our experts today to start planning your commercial or residential lawn renovation; we can make your space look amazing and help it to become more functional.